Adult education, literacy and ESOL students are encouraged to attend the Conference as our guests for a full day of activities coordinated by a committee of adult learners. This free event will include lunch and a variety of sessions specific to adult learners. If you would like to register for Adult Learner Day, please email Nicole at ncaban@floridaliteracy.org for more details. 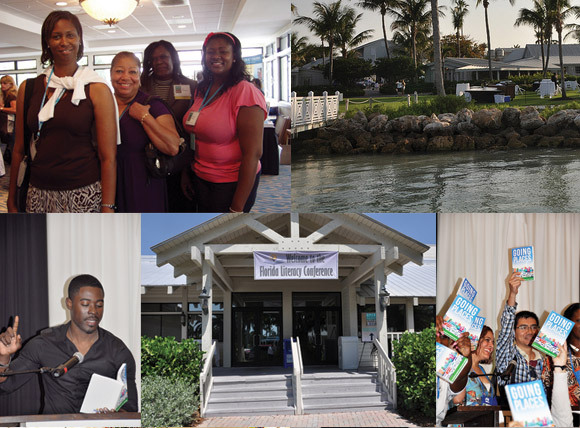 Join Adult Learners from throughout the state of Florida for a special day of workshops and activities. Please click here for register and get more information on sessions. To register a group of students please use this form.